When businesses first started to use the internet for retail, it was mostly about selling things to people all around the world. As e-commerce and search have evolved, online retail has increasingly become about local business and connecting potential customers with local service providers. As the ad capabilities of social media networks have matured, they are increasing their ability to be a source of traffic for local internet marketing. Facebook has been at the forefront of changes to social media marketing and they are at again. 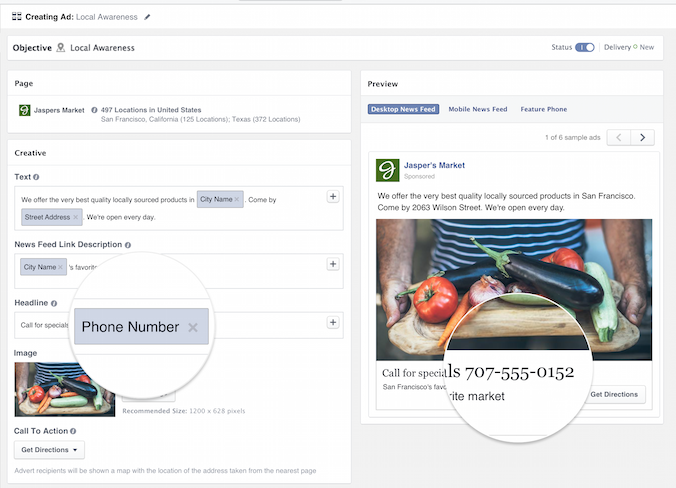 Facebook has announced two new tools to improve the social networks local marketing capabilities. Back in 2014, Facebook created a new ad format that would show local ads to users based on their location. 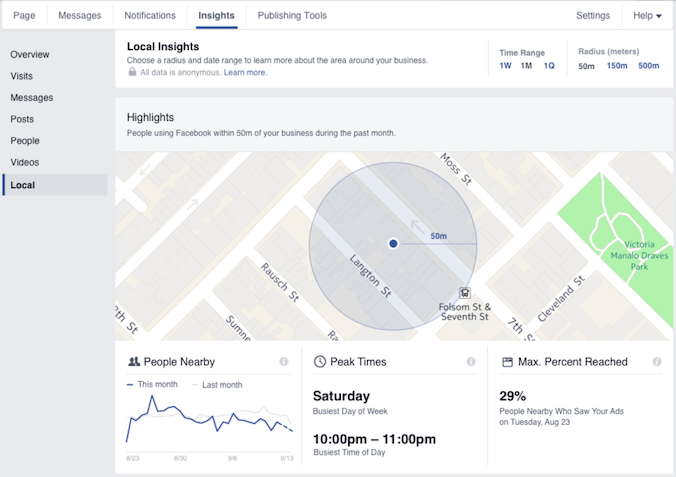 Business owners could target ads specifically to people with a certain radius from their location based on data from their Facebook app. The new changes Facebook announced will make these ads more effective. The second update involves increased access to data about a local area based on foot traffic data from Facebook. This sort of information is invaluable to marketers trying to create the perfect local campaign. Businesses can discover the neighborhood’s busiest days of the week and times of day, so they know when people are most likely to visit their store. And they can see aggregate demographics of the people nearby, including age, gender, tourist and local residents. Facebook’s greater focus on local is a boon to social media marketers. Besides creating an accurate way to provide the most relevant ads to mobile shoppers, the data they’re giving is like free market research. These are both tools that business owners should take advantage of. For more information about Facebook, read this article on how Facebook is rivaling Google in its growth in display ads.